When writers begin blogging they usually have the same goal in mind: for people to read their blog. Many are driven by different reasons, but often they aim to provide valuable information or resources to others, a way to journal their life, and a creative outlet for writing. Beyond this, many have now turned to blogging to make money from home. In order to make money, you need page views. You don’t need the most page views, but you need enough. When I first started blogging I didn’t know how many page views was normal. The first few days, however, I had a few hundred people read my posts. I decided to set my own personal goal; to reach 5000 page views in my first month. When reviewing my numbers it seemed challenging, but attainable if I pushed myself. Before I knew it, I had reached almost 6000 views in my first 2 weeks alone! Once I started writing my first blog post, I was dying to share it with others. It was the story of my husband and I and How It All Began; It was near and dear to my heart. Thankfully, however, I completed a ton of research before I began my blog. The advice I gained was to ensure I had several posts before launching. I decided to have 15 blog posts written before letting anyone know I had created a blog. I worked hard at getting some quality posts written. I did a combination of personal stories (How we met, the adoption of our children, etc. ), some “List” posts, including : 7 Important Things To Know To Start The Adoption Process, and a How-To post on How to Design a Modern Farmhouse Kitchen. Once I had those 15 posts I felt confidant my blog had enough meat to it to share with the world. Since launching I have continued to add new posts every couple of days. I don’t think I will continue with that rate long term, but since it is still so new, I want to ensure there is a good amount of content for readers to actually view. Something that might be evident if you read any of our story, is that I am not the most patient person in the world with the exception of dealing with my kids. I would eat a raw spaghetti noodle if I was in an inpatient mood. So after doing my research I knew there were several other tasks I should do before launching, but instead I launched as soon as my posts were written, and did the crucial steps immediately afterwards. My initial traffic spikes, and continued spikes, were all from Facebook. I have a little over 400 friends on Facebook, nothing massive compared to some, so it was not all related to my own personal circle. In fact, hundreds of views came from around the world! First, I began sharing it in mom groups. Since my blog is focused around a lot of mom-type topics, I knew it was a good place to begin. I didn’t want to become spammy, so I chose a couple of the most relevant posts and shared those in about 3 mom groups a few days apart. Next, I went to a few of the groups related to my niche, namely adoption and foster care. I shared my posts in about 4 different adoption related groups. Over the next 2 weeks I joined several more and shared relevant posts in each group. One post has received more than 1000 page views from my niche related groups! Next, I joined blogging Facebook groups. There are SO many to choose from. New blogging groups, mom blogging groups, groups focused on certain programs, groups focused on support, and groups focused on growing your blog. I partook in daily activities that helped your blog grow bigger. Some activities included sharing your posts for comments and shares, and some included getting your blog posts pinned on Pinterest. Not only did these blogging related groups help grow my page views, but it introduced me to others in the blogging community. This was a win on it’s own, since no one around me cared one shred about anything to do with blogging (other than my husband), so it was nice to chat with those that could relate. During my research I discovered that you can, and should, turn your personal Pinterest account into a business account. Somehow, in my attempt to do that, I failed, and my business account ended up becoming a brand new account with no followers. I panicked for a few moments, not knowing how anyone would see my pins, but continued to plunge ahead. I created boards relevant to my blog, and ones that I knew were popular with people in Pinterest world. I also created Pinterest board covers to make my profile look more crisp, clean and professional. I then sought out to join as many group Pinterest boards as I could (I discuss that further here). Once I was accepted into groups (this is a slow process, I have been accepted into about 10 so far after requesting to be added to more than 40), I began sharing my posts on to these group boards. Most of the group boards have 1000 or more followers, sometimes in the 10’s of thousands, compared to the puny zero I had. It was a huge incentive to join these groups. In conjunction with Pinterest group boards, I joined Tailwind and joined multiple Tailwind Tribes. Tailwind Tribes are virtually the same idea as Pinterest group boards, but you don’t have to be accepted into them the same way. Instead you just need to find links to join them (usually found in blogger’s posts). Once I was accepted, I began sharing my pins into each group, and have continued doing so with all new content. 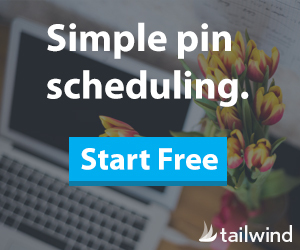 Tailwind is amazing because not only can you share your content in groups, but you can schedule your own and others pins to Pinterest, eliminating hours of work! I still only have 34 followers on Pinterest 2 weeks in, but my content is being shared in front of thousands upon thousands each time I share due to group boards and tailwind. It is important to also share the content of others on Pinterest in order to build up your own following and enrich your boards. Once I had some quality posts completed, I began promoting the blog. For Facebook, not only did I share blog links, but I specifically asked people to share my posts. This successfully brought in more traffic and a single share from a well known blogger brought in almost 500 more hits. I also asked people to follow me on Pinterest, and shared links to my Instagram account. Instagram started out a bit slower. I began by just posting some family pictures and my daily life (this did result in a couple cat pictures); I didn’t want to come off too strong with blog links. Once I was a few days in and had a few photos, I began posting pictures from my blog posts, and directing people to my blog link in my Instagram profile. I ended up getting a fair bit of traffic just from Instagram. This was another account I also began fresh with no followers and it has quickly grown to over 130 in the first 2 weeks. Many other bloggers also promote their page on Twitter, but let’s be honest here. I am 34. I don’t understand Twitter, I don’t use Twitter, and I don’t intend to use Twitter. It is my understanding that 3 different social media avenues is sufficient, so I am hoping that is true! I have focused on Facebook, Pinterest and Instagram. If you are younger than myself, or more social media inept than I am, then of course you should also promote it on Twitter. I have chosen not to, but seem to be doing just fine. One thing I focused on was including links in each blog post leading to other posts of mine. In the first few days I didn’t have this completed and I could see readers coming to my page, reading the page I shared, and then leaving. Page views can skyrocket if a single reader is viewing 10 pages rather than just 1. Once I included links to others posts, I began seeing readers follow those links and read several posts in a row all relating to each other. The more they got to know me, the more they read. It often lead them to my “about me” page and my “home” page which outlined several different topics. If you can get your readers to stick around and get to know you, you’re doing great! In addition to links, you can also include “related content” at the bottom of your post via a plugin. Once I knew my content was adequate and my content was being shared on social media, I returned to my blog design. I added new Plug In’s to increase how it ran, how I collected subscribers, and how people navigated around my website. I joined an e-mail company, ConvertKit, and set-up a pop-up subscribe button to encourage more subscribers to sign up. The final thing I did to bring traffic to my page was to seek out guest posts from other bloggers. Some people specifically requested guest posters within the Facebook groups. This is where I found most of them. I also asked a couple people from within my niche. Only one guest post has been published so far, so I anticipate seeing continued traffic from future posts! And there you have it! That is what I did to get almost 6000 page views my first two weeks. The most important factor of course is to ensure you have quality content, but by following the above steps, combined with my Crucial Next Steps post, it will help to drastically bring up your traffic to your brand new blog! Of course there are many other things you can do to increase traffic to your blog, however, this is what I did for my first 2 weeks! Good luck! I would love to learn more about Tailwind Tribes! I have joined a few larger groups, and began to start my own (which you joined which is lovely!) but I would love to not have to search around for people to email and ask permission so much. I just started my free trial month of tailwind and it is nice for now but I pin far more each day than it will allow currently. I am also curious. Has most of your views come from your posts about blogs or other sections? Most of my traffic has been other content actually!! My biggest post has been “A Day in the Life of FASD” following by “How it All Began” and “7 Important Things to Know to Start the Adoption Process” as 3rd. My 3rd option is what I thought would get the most, and the FASD one was shocking, which makes me wonder if that is what I should be focusing on 🙂 Thanks for commenting!! I would love to hear even more tips on how you were so successful in your first few weeks! I’ve been trying so hard to get traffic, but it’s still so slow going and I’ve been running my blog for months now. Great post. I love the simple but important steps you outlined. I have pinned your article. Thanks for the great tips and much success to you.